Takehiro Ishikawa used his bat to give the Yokohama BayStars the lead early and flashed a little glove to help protect it late. 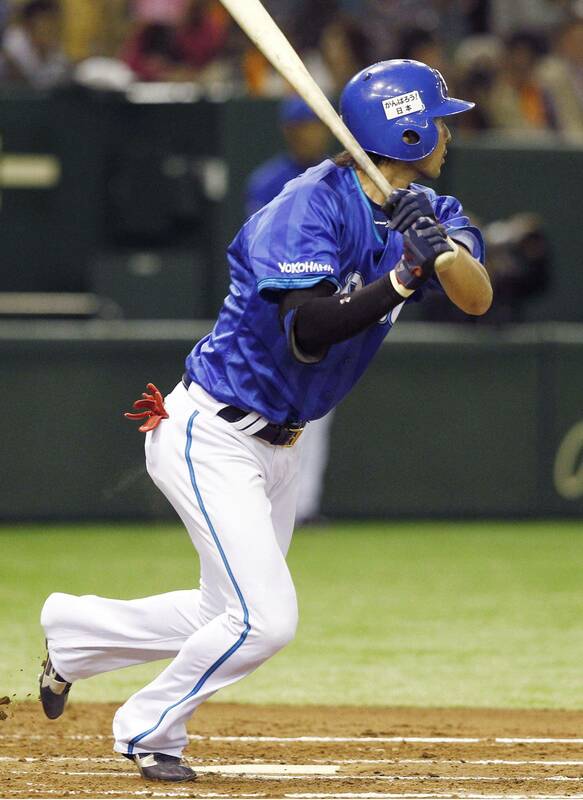 Ishikawa drove in the BayStars’ only runs of the game with a single in the second and made a diving catch in the ninth that helped Yokohama preserve a 2-1 victory over the Yomiuri Giants in front of a crowd of 44,873 on Tuesday night at Tokyo Dome. 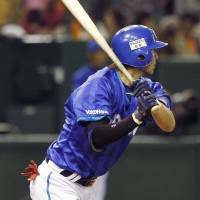 Ishikawa may be beginning to heat up for Yokohama, which had lost its previous two games. The BayStars second baseman finished 2-for-4 and drove in a pair of runs in Tuesday’s game and has eight hits and four RBIs in his last five contests. “My condition was good in the Hiroshima Series and I felt good here tonight,” Ishikawa said, referring to the two home runs he hit against the Carp on May 4 and 5. Yokohama went ahead 2-0 early, and starter Yasutomo Kubo and three relievers made the lead hold up the rest of the way. Kubo (2-2) held the Giants to a single run over six innings to win for the first time since getting the decision against the Hanshin Tigers on April 8. He had the lead when he took the mound in the top of the second, but almost gave it away in a shaky frame that saw him issue three walks, including one with the bases loaded. The Giants out-hit the BayStars 6-5 but squandered a number of opportunities. Their best chance to overtake the BayStars came in the second with the bases loaded and one out, but pitcher Chris Seddon and shortstop Hayato Sakamoto struck out to end the inning. Seddon (2-2) threw seven innings of two-run ball in a losing effort. He walked five and struck out four. Itaru Hashimoto was credited with the Kyojin’s lone RBI after drawing the bases-loaded walk in the second. Yokohama third baseman Aarom Baldiris walked to begin the top of the second and Sho Aranami singled to put runners on first and second. Masashi Nishimori laid down a sacrifice bunt to move both runners up a base, and Ishikawa drove them in with a two-run single. “I just tried to make contact and was lucky to hit the ball through the infield to drive in two runs,” Ishikawa said. The Kyojin had runners on every base after a walk and a pair of singles with one out in the bottom of the second. The free pass issued to Hashimoto with the bases juiced put the Giants on the scoreboard, but Kubo was able to minimize the damage. The Giants had the tying run on first with one out in the ninth when Ishikawa robbed Hashimoto of a hit with a diving catch. “He really was the hero,” Nakahata said. Rookie reliever Tomoya Mikami then retired pinch hitter Kenji Yano to end the game and notch the first save of his career. Masato Furuno allowed two unearned runs over six innings of five-hit ball, Tetsuto Yamada and Kazuhiro Hatakeyama both homered, and the Tokyo Yakult Swallows held off the Hiroshima Carp in a 4-3 victory on Tuesday night in Tokyo. The Swallows went to work early in front of a Golden Week holiday crowd of 28,545 at Jingu Stadium. Yamada led off the home half of the first with a home run to straight away center, connecting on a 1-1 pitch from rookie Aren Kuri. Wataru Hiyane followed with a liner to right and stole second before advancing to third on Shingo Kawabata’s grounder to second. The outfielder scored the second run of the inning on a Hatakeyama grounder to shortstop to make it 2-0. The Carp challenged in the third, when Kosuke Tanaka hit a leadoff infield single, but two outs later he was thrown out attempting to steal second to end the inning. Hatakeyama, starting in the cleanup spot for injured Wladimir Balentien for the second day in a row, had a one-out solo homer in the fourth and went 1-for-2 with two RBIs. Hiroshima pulled two back in the fifth but could’ve made it more, if not for a gutsy escape act by Furuno (2-2), who struck out Yoshihiro Maru looking at a full-count, high-and-outside pitch with the bases loaded to end the inning. The Carp capitalized on a throwing error by third baseman Kawabata to score a run after back-to-back, one-out singles from Ryuhei Matsuyama and Tanaka, and another run scored on a sac fly by pitch hitter Jun Hirose. Furuno walked the next two to juice the bases but located his fifth pitch on the outside corner to freeze Maru and end the threat. Yakult cushioned the lead with a two-out RBI single from Yuhei Takai in the sixth. Furuno struck out four and walked two. Swallows reliever Orlando Roman allowed one run in the ninth on an RBI single by Yoshiyuki Ishihara, but escaped a two-on jam to end the game. Kuri (2-2) was pulled after yielding three runs and three hits in four innings in the loss. Balentien, who has been out of the starting lineup since Sunday, when he strained muscles in his right leg, pinch-hit for No. 6 batter Yasushi Ihara in the sixth inning and lined out on a bullet to third. At Fukuoka’s Yafuoku Dome, Yuya Hasegawa tied it with a one-out, ninth-inning RBI single and closer Hirotoshi Masui (2-1) threw a wild pitch that scored the winning run from third base as PL leader Fukuoka Softbank rallied to beat Hokkaido Nippon Ham. At Osaka’s Kyocera Dome, Yuki Nishi (6-0) threw two-run ball over eight effective innings, Wily Mo Pena had a go-ahead two-run blast among his two homers and Orix rallied to beat Chiba Lotte. Marines lefty starter Takuya Furuya (3-2) was tagged for six runs in four innings. At Seibu Dome, designated hitter Takeya Nakamura sparked Seibu’s rally with a two-run, go-ahead double with two outs in the sixth inning, and Ryoma Nogami (3-2) yielded one run in 6-1/3 innings against Tohoku Rakuten. Keiji Uezono (0-1) took the loss.